Browse: Home / bunitu_tests – Scripts for communication with Bunitu Trojan C&Cs. bunitu_tests – Scripts for communication with Bunitu Trojan C&Cs. DISCLAIMER! Use at your own risk! This Post/Content Just For Education Purpose ONLY!! bunitu_tests is a Scripts for communication with Bunitu Trojan C&Cs. – cnc1_test.py [BUGFIX] Display C&C value only if it was used. – cnc2_test.py: [BUGFIX] Display C&C value only if it was used. – util.py[FEATURE] Allow defining XOR value as hex. ++- works in an infinite loop, resending beacon after every 10 minutes to keep connection alive. — The script sends the registration request once, and waits for the response of the remote server. 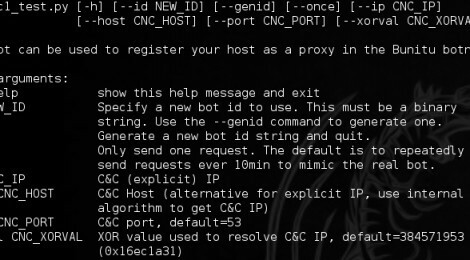 If the remote server is a Bunitu Tunnel (C&C#2) it responds by the internal protocol (asks the bot to check connection with Google). 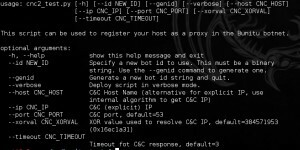 ++- registers the local computer as Tunneled Proxy. ++- receives initial testing request and displays it. 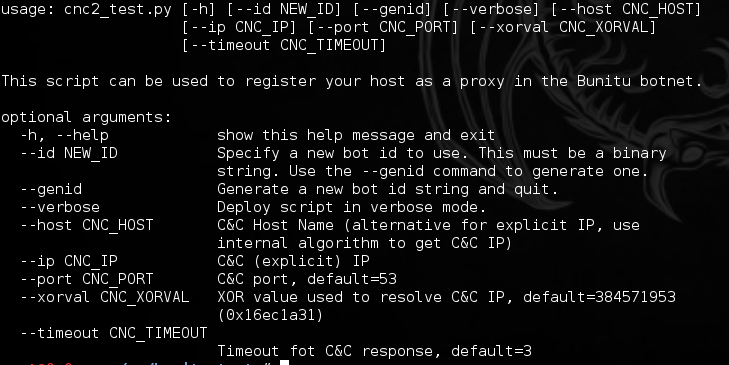 ← Creak v0.0.2 ~ Poison, reset, spoof, redirect MITM script.